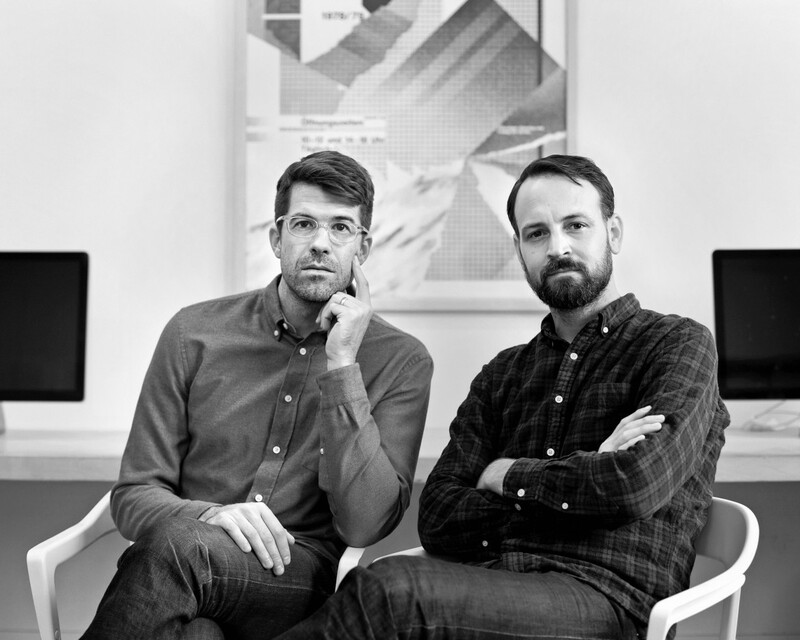 ETC is a NY-based design studio founded by Geoff Halber & Kyle Blue. The studio specializes in identity, publishing, and interactive projects for clients spanning culture and commerce. Their design work often employs sophisticated typographic systems and a high-level of craftsmanship to elevate business approaches and editorial content. 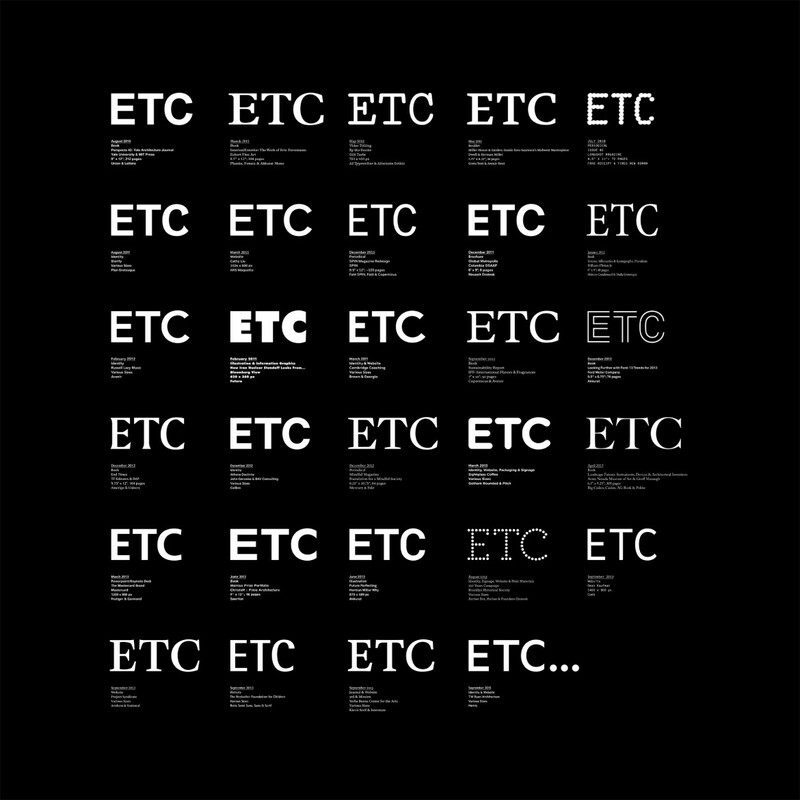 ETC has 3 people. Of those, 2 are studio heads. There’s no ego, there’s no attitude. We’re constantly critiquing each others’ work and trying to make it better. From Veazie, Maine, United States, lives in Clinton Hill, Brooklyn , New York. Primary design education is school (Yale School of Art). From Maxton, North Carolina, United States, lives in Clinton Hill, Brooklyn, New York. Primary design education is school (North Carolina State University). The work week is 50-59 hours/week, core hours are 9:00-7:00, with the first in at 9:00am and the last out at 7:30pm. Plays music for 70% of the day at an average volume. Currently obsessed with Daft Punk, and most played over the last year is Tanlines.